Festivalgoers can look forward to being entertained by artists like Roan Ash, DeeVah, Corlea, Demi-Lee Moore, Touch of Class, Georgetown, Joe Foster, Jemma and Dewald Wasserfall. Gates will open at 09:00 on the day and the show will continue up until 18:00. 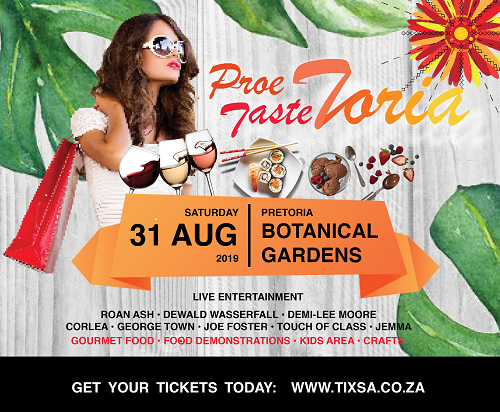 Tickets cost R150 and are available online at TIXSA.